Craig Palsson is an Assistant Professor of Economics in the Jon M. Huntsman School of Business at Utah State University. Craig received his BS from Brigham Young University and his PhD from Yale University, where he attended as a National Science Foundation Graduate Research Fellow. 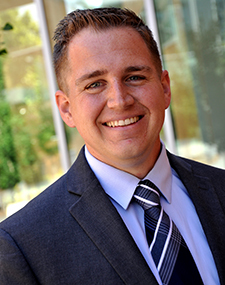 His dissertation was a finalist for prizes from the Economic History Association and the Society for Institutional and Organizational Economics. Before coming to USU, he was an Assistant Professor at the Naval Postgraduate School. Craig works at the intersection of economic history and economic development. He focuses on how institutions such as property rights and state capacity evolve in developing countries. A lot of this work looks at institutions in the economic history of Haiti.